She was in the Navy for nine years. She’s a wife and mother of three. And she worked (full time) at MassDOT while attending (full time) the Sawyer Business School to earn two degrees simultaneously: a Master of Science in Business Administration and a Master of Science in Accounting. 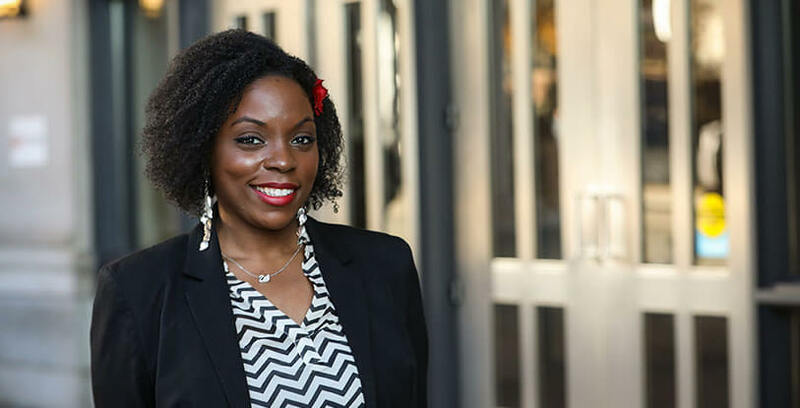 Yet with all that drive and focus, the biggest thing Dell Lindsey MBA ’16, MSA ’16, got from her time at Suffolk was something you’d think she already had: confidence. “I learned the ability to promote my best self and embrace my god-given talents,” Lindsey said. After graduation, she went to a big accounting firm, but soon realized that she wasn’t using both her degrees. So she made a move to the Department of Housing and Community Development for the Commonwealth of Massachusetts. There, she’s a management analyst, handling state and federal grants for numerous state agencies. Now that she’s got the degrees, the job—and the confidence—what’s next for this former Navy culinary specialist and gunner’s mate? She’s thinking about going for a PhD and becoming an adjunct professor.